Located alongside the swimming and boating lakes, this campsite offers stunning views of the festival. All you need to do is book, bring your tent, choose a spot and set up camp for the weekend. Simple. Please note you can only book under 18 tickets alongside an Adult Ticket. With baby changing facilities and a family welfare tent – if you’re bringing little ones, this is the one for you. It’s close to the Arena and Kids Area, saving little legs from getting too tired. Perfect for a family weekend away. Just don’t forget your tent. Please choose this option if you are bringing small children. It has baby changing and welfare facilities, and is close to the arena and Kids Area to help those little legs. A maximum of 4 Child, Junior or Teen tickets can be purchased per adult ticket purchase. This one is for those of you who want a little extra shut eye and so we ask that you do not bring portable sound systems or children under the age of 8. It’s a little further from the Main Arena so if you fancy a late-night party we may ask you to head back that way after 10pm (the unofficial curfew). Please note you can only book under 18 tickets alongside an Adult Ticket. Only Live‐in vehicles are permitted in the dedicated Live-In Vehicle campsite. You must book a live-in vehicle pass alongside your festival ticket(s) in advance. Only attached awnings are allowed subject to space. Tents or Gazebos cannot be pitched in this campsite for safety reasons. Trailer tents are NOT allowed. Please book a general/quiet car park pass if you are bringing extra vehicles of the non-live-in variety to the festival. Please note there are no power or water hookups available in the live-in vehicles field. Please note you can only book under 18 tickets alongside an Adult Ticket. This ticket allows teens (aged 13-17 years) full access to Wilderness Festival and includes 4 days of camping in your chosen campsite and the vast majority of entertainment. All children and young persons 16 years old and under must be accompanied by an adult over 18 years and 1 adult can accompany up to 4 children or young persons (or any group formed wholly or partly of one or other of these two groups). 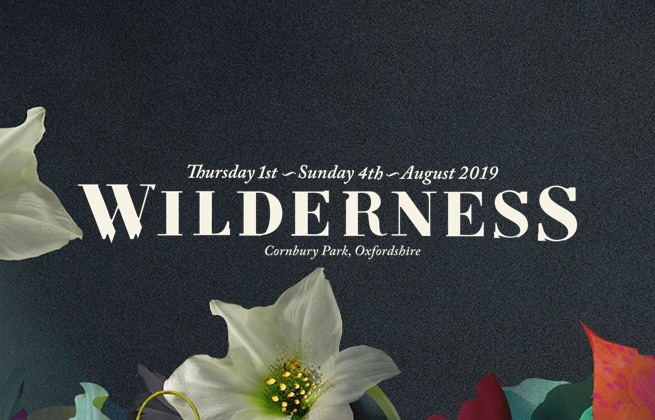 This ticket allows young people (aged 6-12 years) full access to Wilderness Festival and includes 4 days of camping in your chosen campsite and the vast majority of entertainment. All children and young persons 16 years old and under must be accompanied by an adult over 18 years and 1 adult can accompany up to 4 children or young persons (or any group formed wholly or partly of one or other of these two groups). This ticket allows children (aged 0-5 years) full access to Wilderness Festival and includes 4 days of camping in the campsite. All children and young persons 16 years old and under must be accompanied by an adult over 18 years and 1 adult can accompany up to 4 children or young persons (or any group formed wholly or partly of one or other of these two groups). This parking pass allows parking in the Family Campsite car park only. This parking pass allows parking in the General/Quiet Campsite car park only. This pass allows parking in the live-in vehicle campsite only. Please note there are no power or water hookups available in the live-in vehicles field. Only Live‐in vehicles are permitted in the dedicated Live-In Vehicle campsite. You must book a live-in vehicle pass alongside your festival ticket(s) in advance. Wilderness Festival est un festival intimiste où les festivaliers trouveront un programme de musique, de théâtre, de comédie et de nourriture en bord de lac, au parc Cornbury, dans l'Oxfordshire. Take a stroll around its site and you'll come across sets from international artists from across the spectrum (Robyn, Bombay Bicycle Club and Groove Armada will headline 2019's festival), as well as a variety of woodland fun, including immersive games, eccentric theatre, paddle yoga, workshops, talks, debates and even a lakeside spa. Le tout dans un décor isolé et naturel, faisant de Wilderness le week-end idéal pour s'échapper loin de la vie quotidienne et profiter de la créativité du festival. Le Cornbury Park se situe dans l'Oxfordshire. Havre bucolique, il comprend une réserve naturelle tapissée de forêts profondes, de lacs enchanteurs et d'espaces verts de toutes sortes.